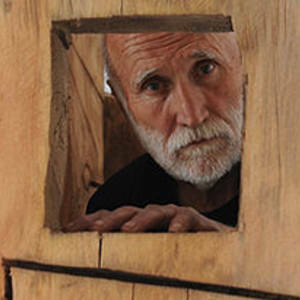 Ratko Vulanovic was born in the village near Niksic, on 16 May 1941. Vulanovic's participation in major exibitions throughout Yugoslavia begin while he was still studying, and in 1965 he won the first prize for sculpture at a competition organized by the Youth Organization of Yugoslavia. After graduation he chose the status of a free artist. Vulanovic became a member of Artists' Association of Serbia in 1969, and in 1972 he was granted a scholarship by the Mosa Pijade Fund, after which he leaves for Greece where he lived for a while. Since 1993 he has also been actively engaged in painting. In 1986 he got the status of an exceptional artist of the city of Belgrade. AWARDS: 1967. First award for sculpture at the exhibition of works awarded and selected by CKSOJ 1971. Award from the Sreten Stojanovic Fund, Special award at the Second exhibition of Yugoslav Portret in Tuzla. 1982. Award of the Belgrade Cultural Community for the solo exhibition in the Gallery of the Culture Centre. 1983. Award - Space 1985. Risto Stijovic Award at the Yugoslav exhibition in Titograd. 1987. Award at the exhibition of Yugoslav sculpture in Pancevo. 1988. "Politika Award" for the assemblage of sculptures made of aluminum "The Great Landscape" in Belgrade. 1887. "Matija Ban" Award for the exhibition of sculptures "The Gates of Belgrade" on Ada Ciganlija. 2013. Medal of St. Despot Stefan, for outstanding contribution to art and for work on the church of Christ's Resurrection in Podgorica. He went to primary school in Niksic and in 1959 enrolled in the Art School in Herceg Novi. However, in 1963 he left this school in order to study at the Academy of Visual Arts in Belgrade where he graduated in 1968. He completed his post graduate studies in 1971. 1987. An exhibition of sculptures in the park of the Gallery of the Art of Non-Aligned Countries "Josip Broz Tito"
1992. Niksic, the beginning of works on the "Stone City"
1996. Podgorica, Montenegrin Centre for Contemporary Art, The Petrovic Castle, "Notes"
1997. Bar, Cultural Centre, paintings "Notes"
2002. Belgrade, Selling Art Gallery Belgrade, paintings "Notes"
2006. Belgrade, ULUS, exhibition of paintings and sculptures "Megalopolis"
2010. Belgrade, ULUS, an exhibition of sculptures "Town"
2015. Belgrade, ULUS, an exhibition of sculptures and paintings, "Potraga za Itakom"
Belgrade, Gallery of RTS, "Atlantida"